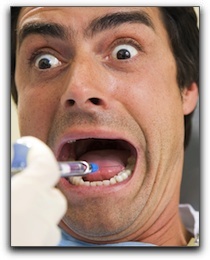 Not Happy With Your San Diego Dentist? I am Dr. Marcos Ortega. We are located at 306 Walnut Ave, Ste 25 in San Diego, California. I have been practicing advanced dentistry since 1986 and am a member of Dental Organization for Conscious Sedation. By working with an experienced dentist, anyone can have a smile they want to show off. Perhaps your smile is unforgettable and you only need a cleaning. Our talented Marcos Ortega DDS dental hygienists perform thorough deep cleanings to remove plaque and tartar and keep your teeth and gums healthy. If you don’t currently have a dentist, or are not happy with your current dentist, we invite you to visit our Marcos Ortega DDS for an informative consultation and examination. What Does Your San Diego Dentist Need To Know?